This guide covers CPAP machine types, features and costs as well as a snapshot of the three best CPAP machine companies on the market today. ResMed offers a full range of sleep therapy options including three CPAP, two APAP and five Bilevel machines. It offers a large selection of CPAP machine accessories and masks to make sure you’re as comfortable as possible while sleeping with a CPAP machine. 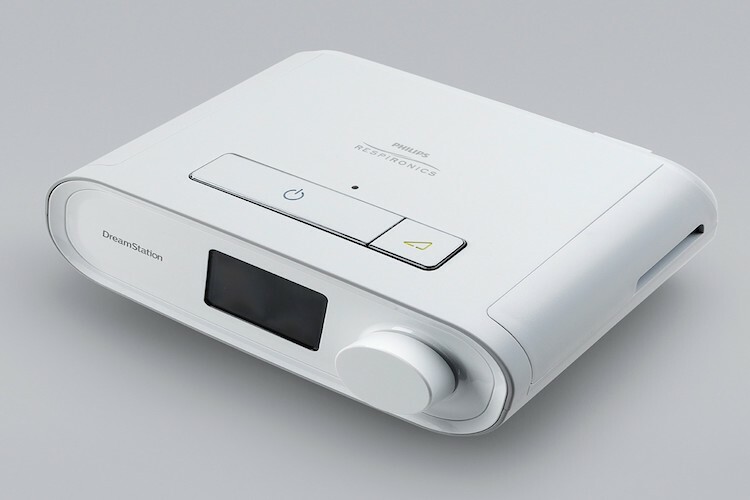 Philips Respironics makes and sells two models of CPAP machines: Dreamstation and System One. You can find the Dreamstation in a CPAP, BiPAP and APAP design. Philips CPAP machines include advanced function combinations like Average Volume Assured Pressure Support (AVAPS) to adjust your settings over time if your condition worsens. Drive DeVilbiss Healthcare CPAP line includes CPAP, APAP and BiPAP models with advanced models for each type. Its SmartLink software stores and protects your machine’s data to be viewed at a later date by your doctor. The number of CPAP machines to choose from can be overwhelming, but we’ve done the research to guide you through finding the best CPAP machine options available. Our picks for the best CPAP companies are ResMed, Philips Respironics, and Drive DeVilbiss Healthcare. In this guide, we share our conclusions about how each of the top CPAP companies excels and CPAP machines buying tips, including CPAP machine types, costs and comfort features. You will also learn about the latest CPAP technology. Continuous Positive Airway Pressure, better known as CPAP, machines are the front line treatment for sleep apnea, coronary artery disease and respiratory distress syndrome. CPAP therapy not only saves lives, but also enhances the quality of life by providing restorative sleep and blood oxygenation for over 22 million people who live with sleep apnea. The only way you and your doctor will know for sure you need CPAP therapy is to have a sleep study performed. Sleep studies are no longer as intrusive as they once were, with many electrodes attached to your body and a technician observing your sleep. Some patients can use a sleep study monitor in the privacy of their homes which provides sufficient data the doctor can use to prescribe a CPAP machine. A sleep study requires you sleep hooked up to a machine that electronically monitors and measures lung activity, oxygen level, breathing patterns, among other factors. CPAP machines blow air into your lungs to ensure you get enough oxygen throughout the night. CPAP is the catch-all phrase used for these devices, but your doctor may use the term PAP (positive airway pressure). There are three types of PAP machines: CPAP, BiPAP, and APAP. We’ve explained each below, but use the term CPAP throughout this guide since it is most common. CPAP: Continuous Positive Airway Pressure machines deliver a steady stream of airflow into breathing passages. CPAP machines may have different air pressure and volume settings, but these settings aren’t variable while you are using the CPAP machine. CPAP machines deliver a specific (prescribed) airflow amount and pressure to airways. APAP: Auto-titrating Positive Airway Pressure devices respond to your breathing while you sleep to adjust airflow and pressure as needed in real time. These machines are sometimes referred to as “smart” PAP machines because the oxygen and pressure vary with changes in the patient’s breathing. These machines operate at a lower pressure throughout most of the sleep cycle and provide a more substantial dose for occasional high-pressure needs. However, mask leaks can interfere with the feedback loop required for a CPAP to properly function, resulting in inaccurate pressure delivery at times. BiPAP: Bilevel Positive Airway Pressure machines can deliver two pressure airflow levels with a low and high pressure setting customized for your needs. The setting switches automatically, in response to your breathing, to a higher pressure when inhaling and a lower pressure when exhaling. 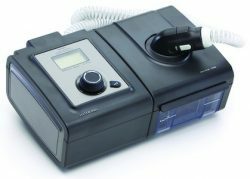 The BiPAP is designed to assist lung function better during use with advanced options to adjust how the bilevel pressures work. A BiPAP offers benefits like gradually increasing air pressure and automatic adjustments. Keep in mind, a BiPAP isn’t for everyone. Compliance is a medical term meaning following doctor’s orders or using your CPAP as prescribed, which is an essential part of CPAP therapy. CPAP machine manufacturers build a variety of features and technology into these machines for patient comfort, so it’s more likely the CPAP machine will be used as intended. Humidification: To avoid experiencing a dry throat and for efficient oxygen exchange, many CPAP machines have humidification options. With a humidification feature, the CPAP machine pulls in air through a small reservoir of distilled water then delivers the oxygen through the mask. Some CPAP machines use heated humidification to provide warm air to the patient. If you’ve heard humidification causes upper respiratory illnesses, rest assured this isn’t true. A U.S. National Library of Medicine CPAP study found no correlation between the types of machines or features and increased illness, even when test subjects did not follow hygiene guidelines. Heated Hoses: Some CPAP manufacturers use small heating coils in the tubing delivering the air from the CPAP machine to the mask. Maintaining a more consistent air temperature reduces condensation and is often more comfortable for the patient. Reduced Noise Levels: Many people prefer sleeping with a bit of white noise in the bedroom and a loud machine beside the bed does nothing to enhance your quality of sleep. Manufacturers are continually making quieter machines, with the latest CPAP machine noise level averaging 25 to 30 decibels, roughly equivalent to the sound of rustling leaves or ambient noise in a library. Portability: CPAP machine portability is a consideration when you travel. Discuss with your doctor and salesperson the unit size, battery life and DC power options as well as international power cords. Hose Secure Point: Where and how the CPAP machine air hose secures to the mask can be a source of discomfort. Front-connect hoses may pull on the mask or become tangled if you move much while sleeping. Multiple types of CPAP masks are available for testing to find the most comfortable option. CPAP machines vary widely in cost which is determined by the type of device and device features. An APAP costs more than CPAP machine, for example. Nationwide costs average about $850 with prices ranging from less than $500 to over $3,000. While many CPAP machines are available through online or local authorized retailers, these retailers may not accept insurance and patients pay the full amount out of pocket. However, private insurance often covers prescribed CPAP machines purchased from durable medical equipment (DME) dealers, so ask CPAP machine sellers if they are a DME to see what Medicare covers. You can also do a CPAP machine rental program with an allowance after 13 months to convert the rental to purchase if continued treatment is necessary. Medicare covers a part of the cost of the sleep study required to obtain a CPAP machine prescription as well. We checked the prices on the three types of CPAP machines for our three best CPAP machine companies. The price range varies quite a bit because we factored in sub-models and optional features like humidification. 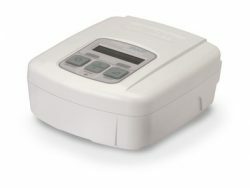 Travel CPAP machines are available from each company as well. Prices for these compact devices range from around $350 to $900. Many CPAP machines gather data to make adjustments to oxygen delivery and to give your doctor information to know how your body responds to the treatment. Some CPAPs record data to a memory card the doctor reads using special software, and others record the information and store it securely online, so the doctor can see how well the CPAP is working without an office visit. The data recorded includes breaths per minute, blood oxygen levels, and the number of times you stop breathing. Some CPAP machines using online data recording allow you or your medical team to adjust the machine settings remotely, so you don’t have to take the CPAP machine to a clinic for adjustments. You may be concerned about comfort when wearing a CPAP mask at night, but not all machines have a full face mask. There are many CPAP mask styles available, and it’s highly likely you will find one you prefer. Some patients need the full face mask (actually covers the lower half of the face) while others use a nasal mask over the nose or a nasal pillow under the nose. Your doctor will help you select the appropriate mask. 1. We searched an extensive group of CPAP machine companies, including the most well-known CPAP machine manufacturers. 2. We evaluated the type of companies based on our expert-guided buying criteria: types of CPAP therapy, comfort features available, and therapy data. 3. We provided you the best CPAP companies for consideration. There are many CPAP manufacturers and hundreds of retailers and dealers. We cut through the barrage of advertisements and information overload to find the best CPAP machine companies. After our evaluation, our top picks include ResMed, Philips Respironics, and Drive DeVilbiss Healthcare. Each of these companies stood out above the competition to deliver the best in oxygen therapy delivery for consumers. We consulted a variety of sources to find the most important criteria for choosing a CPAP machine. Then we narrowed down our company selections based on those criteria and evaluated company strengths and the depth of product offerings. The result is our list of the three best CPAP machine companies. ResMed consistently pioneers new and improved CPAP technology to provide better machine performance and customization for patient comfort. The company also provides software used in homes and doctor’s offices to monitor CPAP therapy effectiveness. ResMed’s product offerings include CPAP, APAP, and BiPAP machines, along with ventilation products and a line of masks. ResMed’s Connectivity Module provides for easy data review, troubleshooting assistance and remote access to machine settings. The company addresses the apprehension many feel when choosing the right mask with dozens of humorous videos highlighting the innovative features of their masks. 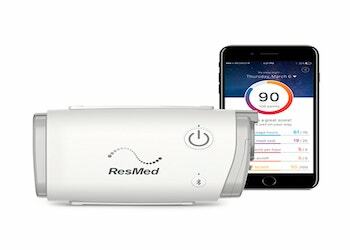 Some of ResMed’s most notable comfort options include a CPAP line for women, pressure reduction on exhale, SmartStart, which starts the CPAP on first breath, integrated humidification, and AutoRamp technology to allow patients to fall asleep before starting full pressure. Popular ResMed CPAP machines include the AirSense 10 AutoSet (including a women’s model), AirMini, and AirCurve 10 S.
Dreamstation and System One are Philips Respironics PAP machines. The Dreamstation line offers CPAP, BiPAP, and APAP devices, some with advanced function combinations not available from other manufacturers outside of a hospital setting. These advanced CPAP features allow a doctor to fine-tune machines even for patients with complex respiration needs. One example is Philips Respironics BiPAP machine with Average Volume Assured Pressure Support (AVAPS) to adjust settings over time if your condition worsens. Philips Respironics offers battery-operated CPAP machines for travel. Philips Respironics Dreamstation Dreamwear mask is a unique modular mask system allowing for gel nasal cushion, full face, and nasal masks without the need for an entirely new mask system. Drive DeVilbiss Healthcare’s CPAP line includes CPAP, APAP, and BiPAP with advanced models for each type of device, such as AutoBilevel. The SleepCube and IntelliPap CPAP lines from Drive DeVilbiss Healthcare are designed to be small and unobtrusive in size while handling just about any therapy your doctor prescribes. The SmartFlex comfort exhalation design makes breathing out easier with no need to fight heavy airflow pressure, and heated humidifier options. Drive Devilbiss SmartLink software protects your data with memory card storage, later used for your healthcare provider’s review. The data ensures your therapy needs are met while monitoring safety compliance and data transfer from the card is easy and independent of an internet connection. Readers of this CPAP Machine guide content also found this related content helpful. We considered the top twelve CPAP Masks and after a thorough review, we have selected the top five. When would I use a CPAP machine? CPAP machines are designed to wear while you sleep when breathing problems occur and are prescribed by your doctor after an extensive sleep study is done. Are masks and hoses used with a CPAP rental machine? Personal attachments making bodily contact or exposed to bodily fluids such as saliva should always be new with rentals. You may have to pay for CPAP masks and hoses separately with a rental. How often do I have to use my CPAP machine? While every patient is different, most CPAP machines should be used every night to benefit from the therapy. Are there alternatives to CPAP machines for sleep apnea? There are no alternatives for treating significant sleep apnea, but there are some alternative treatments, although not appropriate in all cases. Some patients benefit from a specialized dental appliance to reposition the lower jaw, and there are surgical options for some causes of obstructive sleep apnea. What are the side effects of using a CPAP? The most frequent CPAP side effect is nose, throat, and mouth dryness. Machines equipped with a humidifier and tube warmer alleviate this problem. Some people may experience soreness where the mask or harness fits around their face and head, but find relief when they switch to a different mask or adjust the harness. Can I use a CPAP machine if I have claustrophobia? 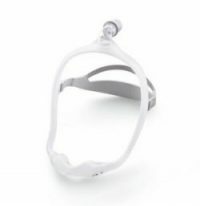 Using an open mask like a nasal pillow and a less constricting harness usually makes it possible to use a CPAP machine if you have claustrophobia. Gradually introducing the mask and wearing it for short periods while awake helps as well. Talk to your doctor about your expectations for using a CPAP. Ask if alternative companies are available to choose from and take your time considering options to find your best CPAP solution. A CPAP machine can be a vital part of maintaining and improving your health while protecting yourself from the deadly health risks of sleep apnea and other health conditions. However, studies have shown many CPAP owners don’t use the machines often, illustrating the need to ensure your device and mask are designed for your comfort.